The progression of osteopenia or osteoporosis can be slowed down by taking some critical steps to maintain and improve your bone health. This week, we will look at the first of a three part series to the five steps to maintaining better bone health. Call us today to schedule an appointment with our expert physicians. According to Kathryn Diemer, MD, professor of medicine and osteoporosis specialist at Washington University School of Medicine, St. Louis, calcium, exercise, no smoking, no excess drinking and bone density tests are the key steps to maintaining good bone health. While these steps are important to prevent thinning of bones in all women, they are especially important for women with low bone density. Patients being treated for osteoporosis should have both calcium and vitamin D levels checked through blood tests. 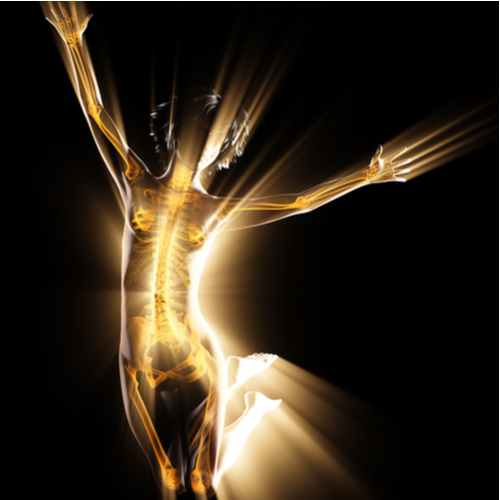 Calcium helps build strong bones, but vitamin D is essential for the body to absorb calcium. Postmenopausal women need 1,200 milligrams calcium and at least 400 IU to 600 IU vitamin D daily for better bone health. Most American women get less than 500 milligrams of calcium in their daily diet. Vitamin D is produced when bare skin is exposed to sunlight. As we get older, our skin is not as efficient at making vitamin D. Sunscreen use also increases the risk of having low vitamin D levels. The two types of calcium that can be purchased over the counter are calcium carbonate and calcium citrate. Calcium carbonate must be taken with food for the body to absorb it. Calcium carbonate taken with magnesium, helps counter the gastrointestinal upset, gassiness, and constipation that some women might experience from taking calcium carbonate. Certain medications used to treat acid reflux or peptic ulcers can interfere with absorption of calcium carbonate. Calcium citrate is generally well tolerated, and can be taken without food. You might need to take more than one pill to get the recommended dosage. Taking the pills at separate times helps your body absorb the calcium better. If you take more than about 500 milligrams of calcium at one time your body will simply pass it as waste. Check the supplement’s label before buying. Look for either “pharmaceutical grade” or “USP (United States Pharmacopeia) standards. This will ensure high-quality pills that will dissolve in your system. Generic brands are also available with the information. 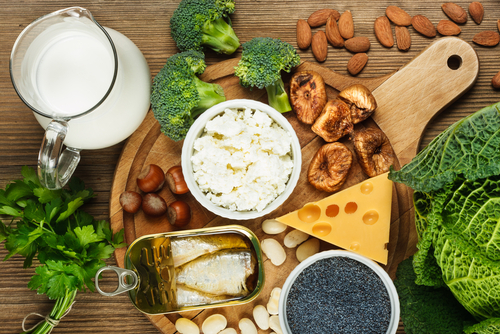 Don’t forget vitamin D. Most calcium pills — and most multivitamins — contain vitamin D. However, you can get vitamin D in food (fortified dairy products, egg yolks, saltwater fish like tuna, and liver). Research suggests that vitamin D3supplements may be a little bit better absorbed and retained than Vitamin D2. Take prescription calcium if necessary. In some cases, doctors prescribe higher-strength calcium and vitamin D tablets.